Globe Town Project Inc believes that art and creative activity offers everyone the opportunity to express themselves in their truest sense. We want ‘being creative’ to be accessible to everybody and, through their involvement, develop the role of the arts to support positive change within our local community. Globe Town Project enables social connection, wellbeing, and collaboration through storytelling and creative arts practice. We operate in Western Australia with a particular focus on the greater Fremantle area. Globe Town Project Inc is closely affiliated to Green Shoes Arts CIC based in East London, UK. Globe Town Project Inc is a charity registered with the Australian Charities & Not-for-profits Commission. 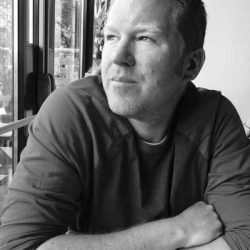 Miles is a director, producer, artist and mentor with many years’ experience of working across a number of disciplines, in a variety of traditional and non-traditional settings and with many artists and non-professionals to produce creative work that inspires, challenges and entertains. Miles holds a BA in English and Drama and an MA in Applied Theatre from Goldsmiths, University of London, and has trained with National Theatre (UK) and NIDA (Aus). As well as being Artistic Director at Globe Town Project, Miles is also Associate Director and co-founder of Green Shoes Arts CIC, a community arts organisation based in East London UK. 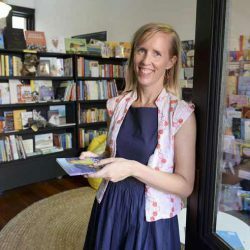 Jennifer is the owner of Paper Bird Children’s Books & Arts in Fremantle. Paper Bird is an independent children’s bookshop, story house and arts space in the heritage Moores Building on Henry St. Prior to setting up Paper Bird Jennifer worked as a child psychotherapist within mental health services with special interest in the role arts and literature play in bringing children opportunities to make sense of their world and come up with creative solutions to life’s challenges. Nikki Watson is Artistic Director at Green Shoes Arts CIC, a not for profit arts organisation based in East London UK, that engages people of all ages within the local community in creative arts programmes that are inspiring, challenging and fun. Nikki is also Artistic Director of CoDa Dance, a London-based contemporary dance company which blends physical theatre with contemporary dance to create cutting edge choreography and performance. Nikki’s special area of interest is creating work that looks at the effects that neurological disease has on sufferers, their families and caregivers, particularly those with MS. She has a keen interest in blurring the lines between audience and performer; community and professional productions and always wants a reaction from people she works with! 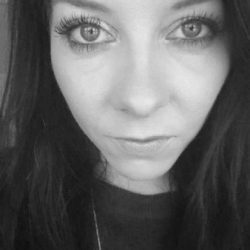 Rebecca is a Director, creative facilitator, artist and project manager who believes that creative arts are fundamental to personal development and bringing about social change. 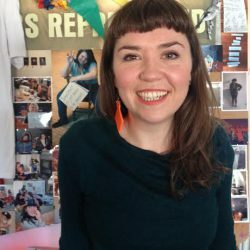 In her role as Creative Learning Manager at Brighton Dome and Festival Rebecca has been instrumental in developing Miss Represented and SPECTRUM. Miss Represented is an arts collective working with vulnerable young women who face complex life situations; the project creates a safe environment for participants to explore issues, feel empowered and have their voices heard. 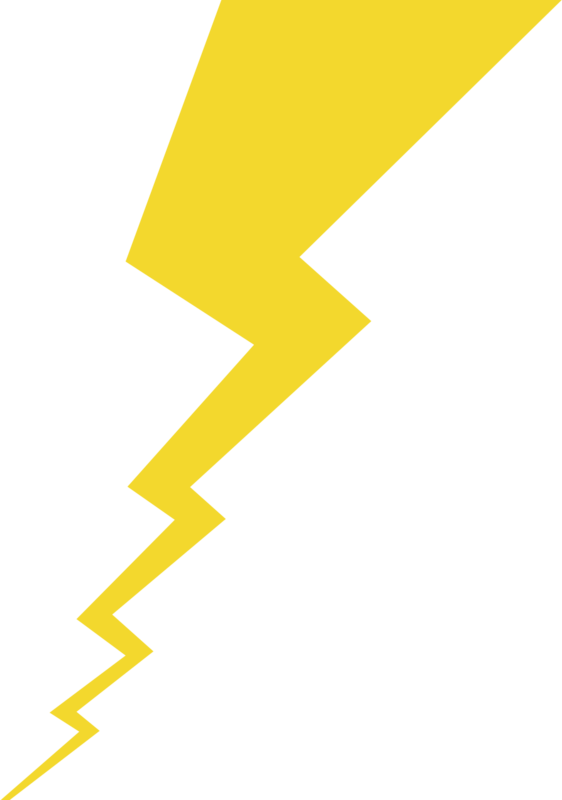 SPECTRUM is an artist development scheme offering local musicians a platform and network. Rebecca holds a BA in Performing Arts from University of Salford and an MA in Applied Theatre from Goldsmiths College, University of London. She has training in Music Leadership for Peace-Building and Social Change and is vocalist with The Bex Fidler Blues Band. Annie is a director, performer and theatremaker. Her company, Wilderness, presents site-responsive, immersive physical theatre performances worldwide working with companies such as Los Angeles Performance Practice, San Francisco Playhouse and the Getty Villa in USA and Theatre Delicatessen and The Bush Theatre in London UK. She is a core performer with Lars Jan’s Early Morning Opera appearing in Holoscenes, The Institute of Memory (TIMe) and Abacus. Annie has devised and performed original work in the UK, and has worked as a director in London. Annie holds a BA and MA in English literature from the University of London, and trained at the Sanford Meisner Center for the Arts, the American Conservatory Theater and the Royal Academy of Dramatic Art. Shout Out to Our Collaborators: storytellers Kerry O’Sullivan and Glenn Swift; rappers Mathas and Brian Kruger; actor Nichola Renton; visual artist Jane Barwell; manga artist Nami Osaki; illustrators Sarah Searle, Hien Pham, Sean E Avery and Andrew Frazer; musicians Leon Ewing and Richard Lane; Barefaced Stories; Said Poets Society; 5 Elements Theatre; and Headspace Freo. 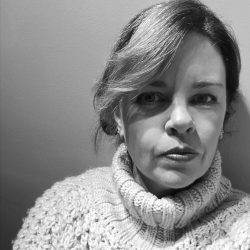 Claire Dodd is a passionate social impact catalyst and community builder with experience in the arts, project and program management, education and research. 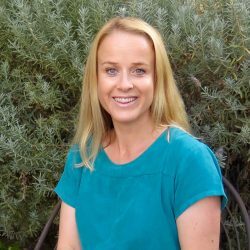 Claire has spent many years working in Western Australia’s not-for-profit sector and is a graduate of a Master in Business Administration (MBA) from The University of Western Australia (UWA). Claire is the Project Facilitator for the WA Alliance to End Homelessness, and over recent years worked across multiple initiatives at the Centre for Social Impact UWA including the Social Impact Festival. Claire volunteers as a representative of several advisory committees in areas of social impact and the arts. With a background in Classical music and arts management, Claire also freelances as a pianist, flautist, and pre-concert talk speaker. Claire developed governance skills and experience through the 2016 Emerging Leadership in Governance Program and a traineeship position with Rise Network. 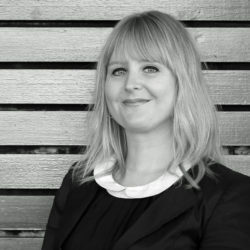 Sarah is an experienced arts administrator and fundraiser with a wide-ranging portfolio across the arts sectors of Australia, Germany and the UK. As Planned Giving Manager at the West Australian Symphony Orchestra, she is well versed in all aspects of arts philanthropy, drawing strength from a professional background in communications. Previous to relocating to Fremantle, Sarah was the Executive Officer of the Hanns Eisler School of Music in Berlin, Germany. Other employers include RIAS Kammerchor (Berlin), Serious Music Producers (London), Luetje Artist Management (Berlin), West Australian Opera and Perth International Arts Festival. Sarah holds a Master’s Degree in Music and Culture from Roehampton University (London) and an Honours Degree in Arts Management from the University for Applied Sciences Potsdam (Germany). 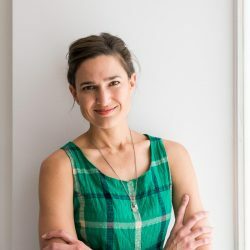 She is passionate about Fremantle and enabling its creative resources to connect globally with the best of today’s arts practice. Ellie’s career to date has spanned research, academia and consultancy. She is currently employed in a social impact evaluation role at Ruah Community Services, a Perth-based not for profit organisation providing mental health and other outreach services in the community. 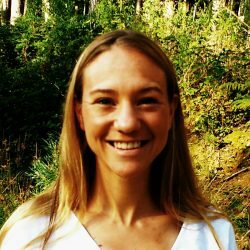 Ellie holds a PhD from the University of Southampton and has worked on a range of projects advocating for social justice in the developing world. Previously, she has worked with the International Labour Organisation, the University of Southampton’s DECCMA project, CARE International, 3Shifts Consulting, and the Walk Free Foundation. She’s a keen member of Subiaco Earlybird Toastmasters and holds the committee positions of Sergeant at Arms (2018-19) and VP Membership (2017-18). Jo is currently a Financial Analyst with the WA Department of Treasury. She holds degrees in Economics, Accounting and Development Studies, and previously worked in not-for-profits focused on environmental conservation in Queensland, and financial literacy for young people in London. She is passionate about developing programs to inspire and support young people, particularly when it comes to anything to do with books and creative writing, and has recently finished two novels for children. 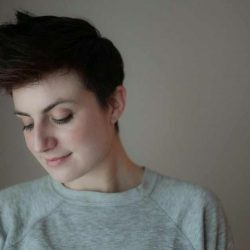 A visual artist, writer and arts strategist, Emily is passionate about the power of the arts for self-expression, healing and as a connector – to people and place. Emily holds a Bachelor of Arts (Psychology) and has 25 years’ experience in community development and engagement, health promotion, philanthropy, government and arts administration. Personally and throughout her career Emily has seen arts as an enabler for individuals and communities, transforming the way in which people see themselves and each other. Former civil engineer Rachael West is now a speaker coach, with expertise in workplace gender diversity. She is also founder of national social enterprise Yoga for Pain Care Australia, which addresses gaps in chronic disease management, especially among the isolated. 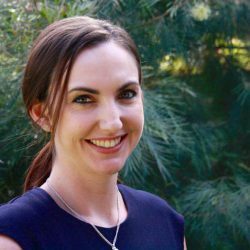 Rachael has spoken at TEDx, Australian Pain Society Scientific Meeting, Westminster Briefings and a range of institutions about innovative ways to improve public service delivery. She has developed her leadership and governance capabilities through a Department of Communities Scholarship to Curtin Ignition Entrepreneurship Program 2018, sitting on the Southcare board as board director trainee, and the 2016 Emerging Leaders in Governance Program.